Reverend Bonnie felt the call to ministry when she was in High School back in the 70’s. She attended Grinnell College where she double majored in religion and psychology graduating with a B.A. (1980). Reverend Bonnie then became certified in American Sign Language and has been serving the deaf community for over 28 years. 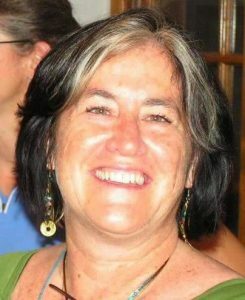 Reverend Bonnie found her home in Religious Science in 2000 when she walked into the Albuquerque Center for Spiritual Living. She moved to Las Cruces in 2006 as she started her last year at the Holmes Institute with the goal of becoming a Community Spiritual Leader in some capacity through the Centers for Spiritual Living. She received her M.A. in Consciousness Studies from the Holmes Institute in 2007. She is an ordained Religious Science Minister and Practitioner in Religious Science. She served as an outreach minister with the Wellspring Church in Las Cruces for almost 4 years and also guest spoke at the Center for Spiritual Living in Las Cruces. She was called to serve as Interim Minister at the Center for Spiritual Living in the Heart of Las Cruces in January of 2013 and finally on December 12, 2014 she became this Center’s permanent Community Spiritual Leader.